ORTHOPEDIC DOG BEDS - FREE SHIPPING Orders Over $69. These come in many styles, shapes and fabrics. 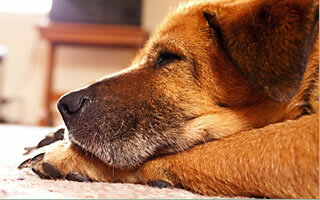 We've selected products to meet the needs of older and arthritic dogs. Cutting edge technology & great design sense. Including memory foam beds, cool gel foam dog beds, easy entry beds & mats.They help eliminate pain by distributing weight evenly and reduces pressure on joints. Great for prevention of health problems. Plus, many accessories to benefit an older pooch.